When they reach a certain point in their growth, such products stop being the right fit for their organization. As business needs evolve and become more complex, the gap between any available software product’s core capabilities and the business requirements starts to increase. In some cases, it’s easy to recognize this problem, but we see far too many cases where businesses continue to hobble along using makeshift arrangements and inefficient technology. When this problem is left unsolved, it can translate to a lot of negative impacts to business – everything from unsatisfied workers to unsatisfied customers, and ultimately to the bottomline and growth. The needs and their prioritization are unclear and spread over multiple departments. Quantifying the benefits of the ideal solution and quantifying the opportunity costs due to missing functionality is also a challenging task and takes a significant amount of time and discipline. Then doing an assessment of available options and doing detailed technical evaluations systematically to get to an actionable view of the options is challenging. Doing all this efficiently and quickly without making a big project out of it seems very hard. When you look at the marketplace, the number of products out there can be bewildering and the marketing hype around the products can also make it really hard to differentiate fact from fluff. While custom solutions can be built from scratch, it can be an expensive proposition – unless an organization has a large enough user base or plans to sell the software solution as part of it’s service, it is usually not a direction that would make financial sense for most SMBs. Software products have continued to evolve and grow in different directions as well. Some products are delivered as generic platforms that can be customized to a variety of business needs across verticals, while other products are highly specific to a particular industry’s needs. For e.g. 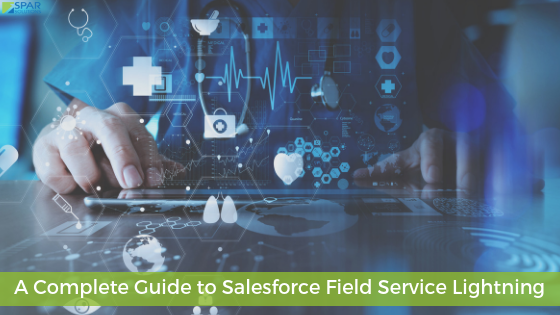 Salesforce.com and KANA deliver CRM solutions for Sales and Customer Service – the products are highly customizable platforms that can be tailored to needs across many different verticals. There are also other companies who deliver industry specific CRM solutions for Financial Services. Communications, Hospitality, and other verticals. While it is not fair to make a general statement about products, experience shows that industry specific solutions tend to solve more immediate needs, while generic platforms, while requiring more investment upfront, are more adaptable for evolving over the long run. Each software product or platform comes with a set of in-built features and functions, and has the ability to scale and expand differently. The higher costs of operational inefficiencies and the opportunity costs of outdated and limiting technology can be very significant. Selecting and implementing the right solution could translate to thousands or even millions of dollars being added to the bottomline. It is very important that business leaders in these situations can understand the value of selecting the right solution for their business needs, and make the right decision for their specific situation. Organizations faced with this situation should follow a methodical process to evaluate multiple products and platforms to see which one is the best fit for their needs. Understanding the capabilities of these tools, and how they would be leveraged and extended to meet both current and future needs is the first step in putting together the best possible solution. In our opinion, this would be the most important step in translating their business strategy into decisions that will have a lasting impact on their growth plans and their bottomline.